Iain and Jo Wilson (your local contacts) will be very happy to point you in the right direction depending on the activities in which you are interested. There are many activities on offer in this beautiful spot including hill walking, mountaineering, sailing, stalking, wildlife spotting or simply relaxing in the sheer tranquillity of it all. A fifteen-minute walk takes you to Inverie village, the hub of the community. As well as The Old Forge Inn (see below), you’ll find the Post Office/shop and the Knoydart Pottery & Tea Room. The Knoydart Foundation that owns and manages much of the peninsula has its office and display room here, where you will find lots of local information and details of activities arranged by The Ranger. 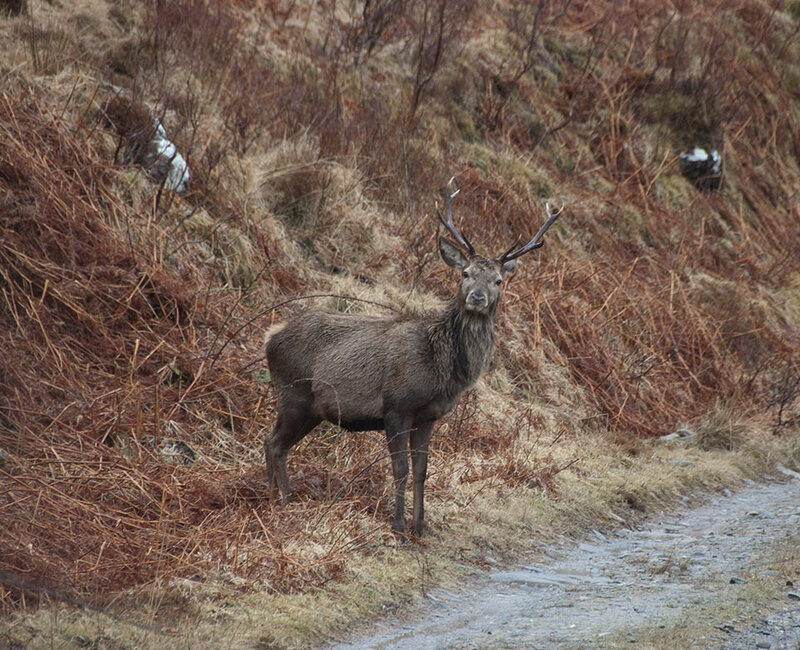 Amongst the plethora of wildlife to be found here are golden eagle, wildcat, deer, ptarmigan, otter, seal, dolphin, and even the occasional thrilling sight of killer, humpback or minkie whales, basking sharks and porpoise on the outer reaches of the Sound of Sleat and surrounding islands. During your stay you might like an outing on Calanna. Iain offers wildlife and whale watching trips and is a fully qualified WiSe (WIldlife Safe) operator. Featured in the Guinness Book of Records for being the remotest pub on mainland Britain. There are no roads in or out and it can only be reached by an 18 mile hike over munroes or a 7 mile sea crossing. Alternatively, it’s only 15 minute stroll if you’re staying at Creag Eiridh! Highly recommended by the Creag Eiridh Holiday Home owners. Located on the Western tip of Knoydart they offer a special ‘Doune Dining Experience’ and can be reached by boat or on foot. We can offer drop offs and pick ups at agreed locations and times. Contact Iain Wilson for more information.